Home is a place of sanctuary after a hectic day of work. A home represents the personality of the people living there. 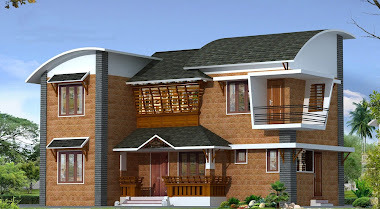 The basic step towards constructing your dream home is through a sensible and well analysed construction plan. While constructing a home, it is recommended to thoroughly analyse a few details. The area of the property and your budget are two main factors to be considered. The supervision of an experienced and qualified engineer or contractor can help a lot. If you are under a tight economic restraint, it would be better to avoid complications and stick to a basic yet practical structure that satisfies all your essential requirements. The construction of the home should offer maximum natural light and ventilation and the plan of the home should offer security to the residents. High quality materials should be used while making provisions for utilities like water lines, electric wiring, drainage systems etc. The entrance to the house offers a primary view of the house and so should be attractive. The entrance should also offer sufficient security to the inhabitants. The living room should be pleasing to the eye and should be designed to offer you a pleasant view and plenty of natural ventilation. The bedroom is a place for relaxation and rest. Privacy is the keyword here and the bedroom should be designed with plenty of storage space. An attached bathroom and a balcony will add to the convenience. The kitchen should be spacious to accommodate all the appliances and should allow plenty of natural light/ventilation. The bathroom should be constructed such that the floor is lower than the rest of the house by at least 5cm. A well-lit bathroom with high quality fittings will be practical. Constructing a home is not only a dream come true but is also an investment with great returns. Though there are many changes that can be made after a gap of some years as part of the renovation but these basic things for making the structure of the house will truly make the house one’s haven. 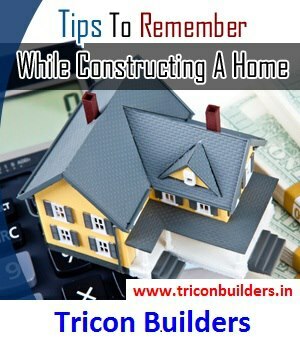 For any of our Specialized Consultations or Construction Contracting Services; Please Visit www.triconbuilders.in or Walk-in to Our Office in Kodungallur-Kerala.